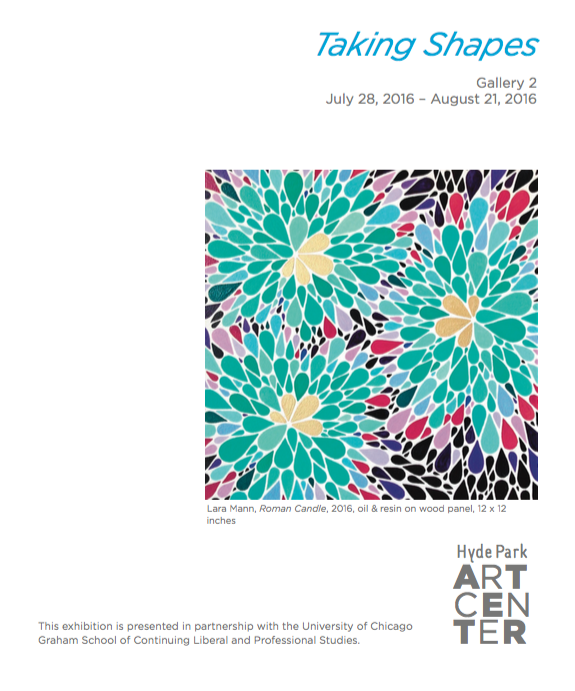 Hyde Park Art Center is proud to present Taking Shapes, a group exhibition featuring twelve artists and seven curators from the Visual Arts Certificate Program at the University of Chicago Graham School of Continuing Liberal and Professional Studies, from July 28 until August 21 in Gallery 2. Many of the artists and curators will be present at the public reception for the exhibition held on Saturday, August 6. Taking Shapes features work that draws inspiration from nature and explores Henry Adams’s axiom that, “Chaos was the law of nature; order was the dream of man.” Through research, experimentation, repetition, language and documentation, forms of the natural world are expanded, while the artists intuitively mirror the essence of their subject matter. 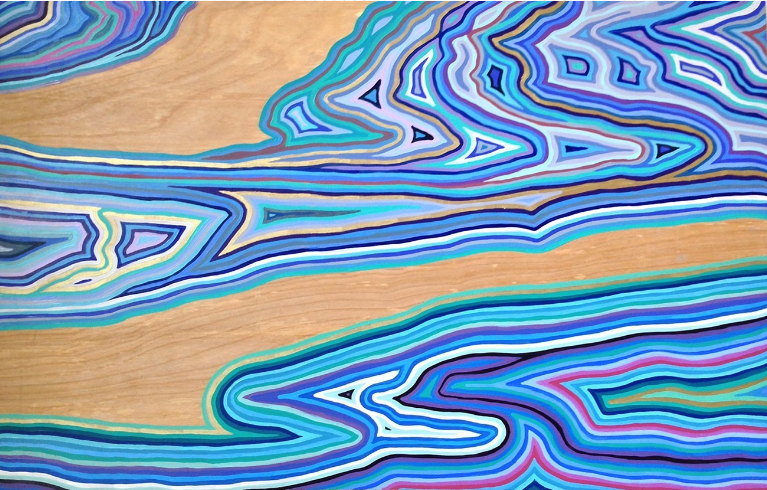 Whether the work manifests physically in obsessive collection, attention to detail, or movement within a given space, Taking Shapes relinquishes control in order for the viewer to experience what it’s like when nature takes the lead. Evan Carter, Kara Cobb Johnson, Larissa Johnson, Quincy Joyner, Faun Manne and Connie Noyes with assistance from Lauren Leving, Curatorial Fellow at Hyde Park Art Center. Andrew Bearnot, Alison Moyna Greene, Alan Emerson Hicks, Kate Ingold, Al Joyner, Katherine Lampert, Lara Mann, Judith Mullen, Stuart Patterson, Seeds InService (Maggie Puckett and Melissa Potter), and Yasmin Spiro. The VACP program is designed to help artists further their art practice while developing strengths in critiquing, teaching, presenting, and writing about art. Curating exhibitions, negotiating contracts, conducting studio visits and writing press releases are just some of the professional practices that artists can master, yet instruction in these skills is largely absent from BFA and MFA curricula. The VACP aims to fill this experiential gap that exists in traditional programs.